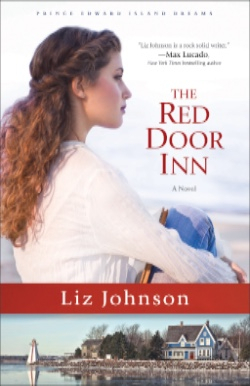 I absolutely loved this book by Liz Johnson and am so happy that it is the first in a series as I am hoping for many more books to follow. I was immediately hooked on the story as soon as I began reading. Marie is a character whom I felt sorry for and wanted to know more about as she needed rescuing, yet she came so alive when talking about her ideas and plans for her theme rooms. Seth is handsome and brooding and yet early on you see glimpses of his softer side and cannot help but like him as well. Jack is such a sweet man and of course I fell in love with his character right away as he was like a grandfather figure and has such a sweet heart and knows that his Rose would want him to help Marie. I am like Marie in the way that all I know of Prince Edward Island I learned from L.M. Montgomery's character Anne. However, Liz really brought this place alive to me and I loved "seeing" Marie's ideas and designs as she scours Aretha Franklin's (not the singer) antique shop and looks at paint swatches with Jack. This is a book not to be missed, and a wonderful start to a new series! Sketchy politics and a palette of lies can't stop Serena Jones from exposing the mastermind behind the daring theft of a priceless work of art Serena Jones has a passion for recovering lost and stolen art--one that's surpassed only by her zeal to uncover the truth about who murdered her grandfather. She's joined the FBI Art Crime Team with the secret hope that one of her cases will lead to his killer. Now, despite her mother's pleas to do something safer--like get married--Serena's determined to catch thieves and black market traders. Sandra Orchard is an author whom I have read and enjoyed in the past. 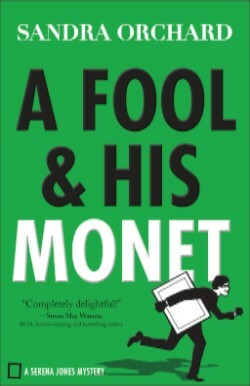 Her latest, "A Fool & His Monet," is a great start to her new Serena Jones Mystery series and a variation from other suspense books I have read. Serena is determined to track down a missing art piece from the museum her friend is recently in charge of, but also her ultimate goal is finding the one responsible for her grandfather's murder. I love the storyline, but I really love the characters; they add so much to the story! Zoe and Aunt Martha are funny, and their interactions with Serena both help and hinder at times, but add so much to the book! I am looking forward to book #2 and to be back in Serena's world. I was immediately intrigued by Mike Nappa's novel, "Annabel Lee," as soon as I read the blurb about it, seriously so many details yet so vague. Once I started reading the book I was hooked once again, and trying to figure out the characters and how they were connected with each other. Trudi and Samuel are both fascinating and strong individuals and wow such a team together, but also such a history together and so many secrets. I loved how their past and their stories were woven into the book to give us little bits and pieces as they were forced back together with one word, "unsafe." Uncle Truck is someone whom I experienced a wide variety of feelings as I did not really know what to think about him at first and who he really was, his connection with Annabel, his connection with The Mute and his connection with Trudi and Samuel. Annabel knew to trust Uncle Truck and his dog even though she was scared, but she also realized she had been prepared for when the day would come that she needed to be hidden away. I love how Mike switches back and forth between telling the story from the various characters' points of view and giving bits and pieces of the story throughout adding insight and tying up loose ends, but then also adding another twist to the story. This was such a well-written book as I did not want to put it down! I highly recommend this to suspense fans and I am looking forward to book #2, "The Raven," coming out this fall! Hilarity, hijinks, and danger-all in Jen Turano's new book, Playing the Part. Enter to win a copy! I am a huge fan of Jen Turano's books as they are full of humor, romance, and wonderful characters. 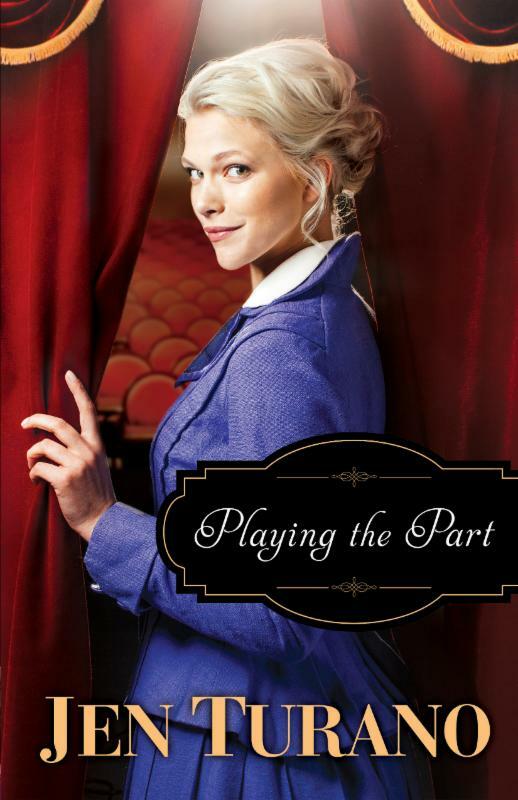 Jen's latest book is no exception, and "Playing the Part" immediately drew me into the story and into Lucetta's life. Lucetta must escape her life for a bit when there is a fan who becomes too intense and her friend takes her to her grandson's home. Bram is not who Lucetta expected and thought he was at first. This just adds to the story complete with individuals at his home whom are a little odd and of course funny! Throw in suspense and this story is a winner! Jen's books are such a great escape from everyday day life and take the reader on an adventure. I love how she is able to bring the time period alive in this book as well as each of the characters. I have really enjoyed this series and this could be read as a stand-alone novel, but I highly recommend reading the other books and quite honestly Jen's books are not to be missed! I read Holley's book, "You're Already Amazing" when it came out four years ago and I loved revisiting it with this study book that goes along with it and with the DVD. Holley's guide is very interactive and perfect for an in-depth study. The layout is great as it has ample space for writing in it and has a variety of features in each chapter. There are charts, questions, lists, journal prompts and self-reflection as well as group discussion questions. This study is wonderful for each and every woman to participate in as it is so common for all of us to "beat ourselves up" and be so down because of any little thing, we surely are our worst critics and having this attitude will impact our lives overall. Therefore, it is important to remember that we are amazing, really truly amazing. Teamwork. Family. Perseverance. Faith. Community. Excellence. "Catch A Star: shining through adversity to become a champion," written by Tamika Catchings with Ken Petersen is Tamika's life story that will inspire each and every person who picks up this book and reads it. Tamika demonstrates that with hard work, an attitude of knowing that you can achieve your goals and having faith, you can accomplish and be who you want to be. This book is a quick read as it written in such a style that it is easy to get drawn into Tamika's life and it just has such a personal feel to it. I love Tamika's heart and how she wants to encourage others and help them to be able to come over the obstacles in their lives, like the ones she faced of battling low self-esteem, and being bullied. What stood out to me as well is Tamika's vision and promoting of goal-setting and the mission of helping others "catch their dreams one star at a time." When the reality of your pain doesn't line up with what you've been taught in church, then what? It is so easy in the midst of pain to place the blame on everyone around you, yourself and even God and to also question God's love and why bad things happen to good people. 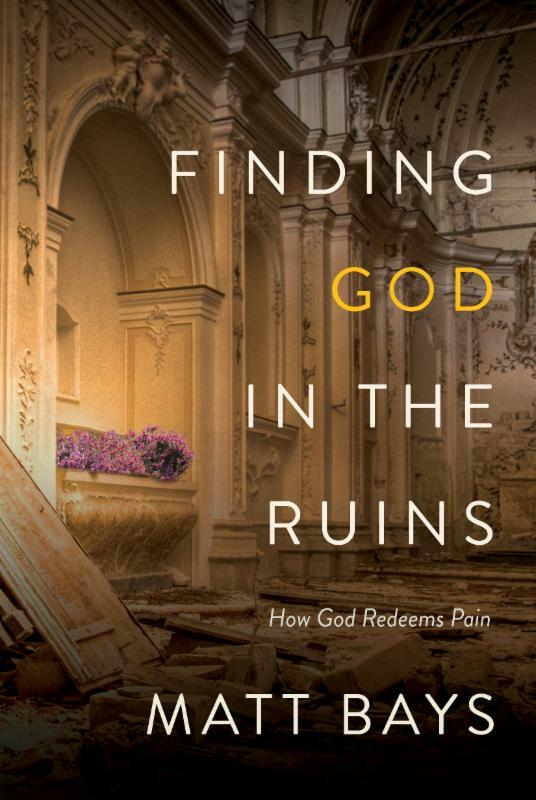 Matt Bays shares his heart, his life experiences with honesty, heartache and humor in his book, "Finding God in the Ruins." 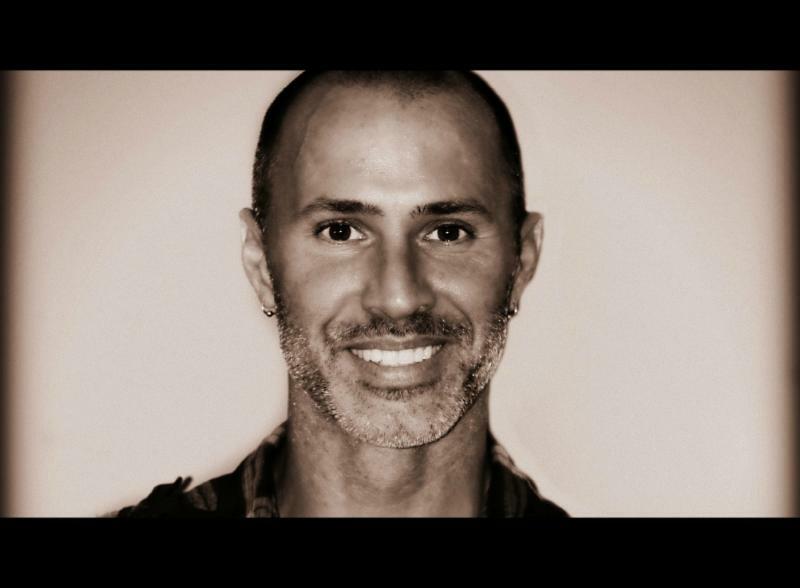 Matt shares how his life was full of anger, despair and so many hurtful things over and over again as his dad was incapable of being the father he needed, his mom's relationships were not healthy and Matt was there seeking God to help, but yet finding himself dealing with hurt once again. By being able to find God and allowing Him to help him overcome the anger and despair, Matt was able to move past this. I loved the honesty and openness with which Matt wrote this book. Matt did not hold back from his experiences and the pain he felt. This made the book so relatable and also really helped me to think about things I may be holding onto and questioning as quite honestly life is not fair and it is hard to get past and over the pain that is a part of life. While this is truly a journey and not a quick fix, this is a book that I am sure I will turn to time and time again in moments of feeling defeated and lost and needing a reminder of God's love and hope. 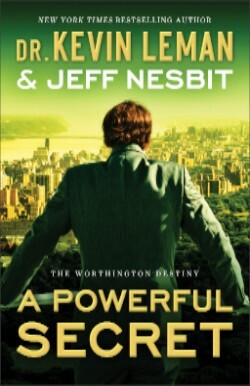 "A Powerful Secret" is book #2 in The Worthington Destiny series written by Dr. Kevin Leman & Jeff Nesbit. This series deals with a powerful family, a family that has the means to help out so many causes and also be influential leaders in the country, and a family that has numerous connections around the world. Sean is the focus of this second book and he is the son whom has always felt as if he does not really belong in his family. Sean has lived his whole life feeling as if he cannot ever get his father's approval as his father has been focused on Will, the oldest child and the one whose path has been set for him. When a last-minute withdrawal from a political race leaves Sean and seemingly everyone else with questions, this spurs him to take action in his own life and try to fight against how everyone perceives him. While reading this I felt as if it was such an appropriate book for this time as this is a big election year and tensions are high in regards to politics. This book is written in a way that I was drawn into the drama, the secrets and the relationships between all of the characters. I highly recommend this book (although if you haven't read book #1, you should read that one first! ), you will not be disappointed! 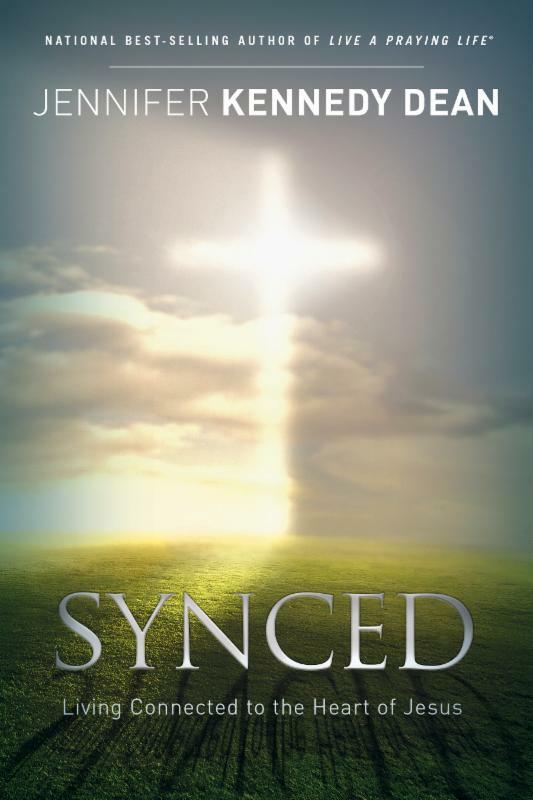 Synced encourages you to emulate the way Jesus lived His life. With real-life stories of people walking closely with Jesus, finding themselves in the right place at the right time, readers are challenged to examine what staying in step with the Spirit looks like. National best-selling author and known prayer expert, Jennifer Kennedy Dean, uses the familiar passage of the Lord's Prayer as anchor points to present the way Jesus lived His life in step with the Father through prayer. 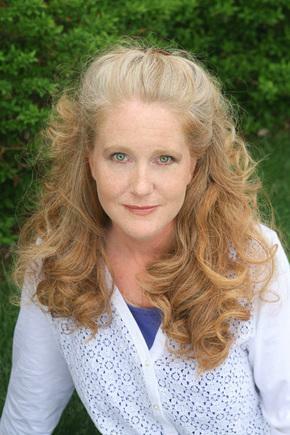 Jennifer Kennedy Dean is executive director of the Praying Life Foundation and a respected author and speaker. 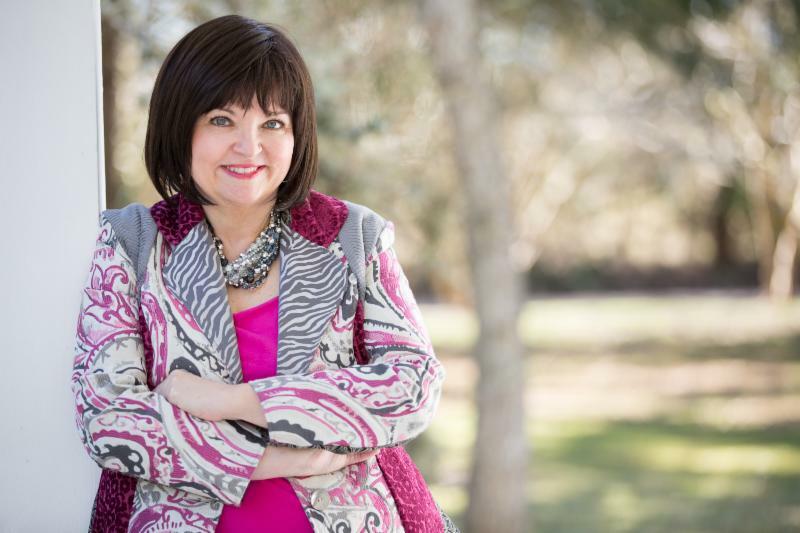 The author of numerous books, studies, and magazine articles specializing in prayer and spiritual formation, her book Heart's Cry has been named National Day of Prayer's signature book, while her book Live a Praying Life® has been called a flagship work on prayer. 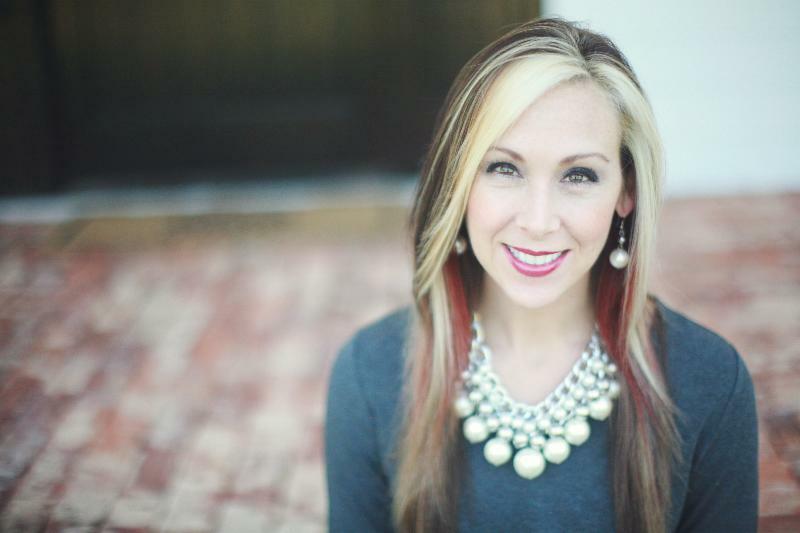 Widely recognized as an unusually gifted communicator, Jennifer speaks all over the country calling God's people to discover the difference between a prayer life and a praying life. Jennifer is the author of such books as Altar'd, Clothed with Power, Conversations with the Most High, Life Unhindered!, Power in the Blood of Christ, Power in the Name of Jesus, Secrets Jesus Shared, Set Apart, The Power of Small, and much more. A highly demanded speaker, her engagements include respected organizations such as the Billy Graham Training Center at the Cove and Focus on the Family. She is a board member for Advanced Writers and Speakers Association, a member of America's National Prayer Committee, a member of National Professional Women Association, and national prayer director and board member for Christian Women in Media. Today's society is a synced society. We are constantly glued to our cell phones checking social media, texting, just in touch with everyone and everything going on. We sync our calendars among devices so that our schedule is already right there reminding us of the busyness of our daily lives. However, Jennifer Kennedy Dean reminds us in her latest book, "Synced: living connected to the Heart of Jesus," something, someone and a relationship that is often overlooked in the busyness of our schedules and life. We will talk about seeking God's will on decisions that we need to make; however sometimes it seems as if God is someone we seek out when we need help, not someone we are in constant close interaction with. Jennifer shares her thoughts and Biblical passages and examples and tidbits from life in this book which is a great devotional as she will encourage you and help you to grow in your relationship with God and really be in sync with Him. Gwen Smith knows how easy it is to dismiss God's plans with the thoughts, I can't make a big difference for God because I'm just an ordinary woman with an ordinary life. Yet God created us to join Him in doing amazing work in the world. He created us to live with abundant joy, courage, and influence. But not the joy, courage, and influence of the world. He offers His grace for each failure, His love that shatters hate, His peace that soothes the turmoil, His comfort, guidance, wisdom, rest, power, and significance. Every blessing He has for us is ours for the taking. While reading Gwen Smith's "I Want It All" I was constantly reminded of the never-ending cycle and battle that I struggle with and I'm sure many others deal with of feeling like they are not measuring up, they are not good enough with the daily routine and tasks of being a wife and a mom. Especially on those days when you are exhausted and have a to-do list that is way longer than the hours in the day. 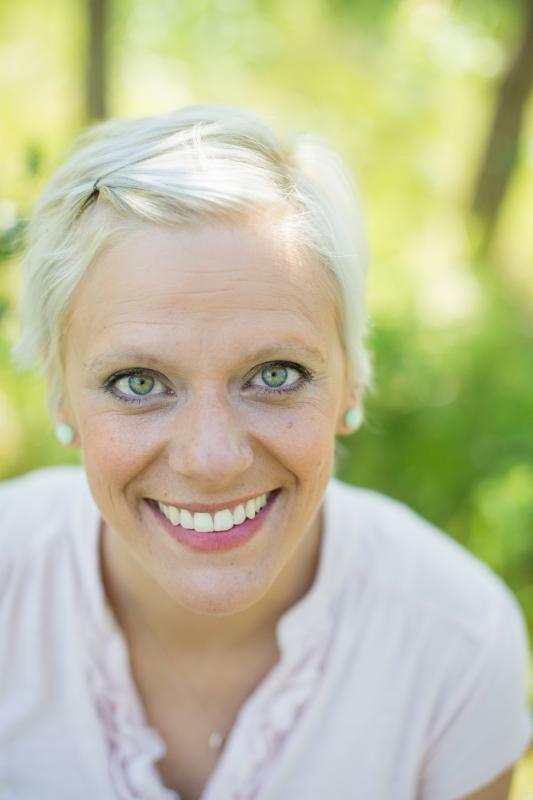 Gwen shares her heart and her stories to help each of us gain a more positive outlook and a healthy approach to wanting it all and going for "it all." So many times throughout the book it felt as if Gwen had written the thoughts that I have in my own head and things I am thinking and saying to myself almost on a daily basis. I loved the story that Gwen shares right away in the beginning of the book of a conversation she had one night at bedtime with her daughter where her daughter shares what she wants to be when she grows up. That caused me to stop and think about the dreams and goals I had as a little girl and to think about when those dreams ended, when I stopped reaching for them and instead just felt as if I was "settling" into life. It also made me think about conversations I have with my children and the children I work with and encouraging them to follow their dreams and telling them they can have it all. Why then can't I have it all as well?! 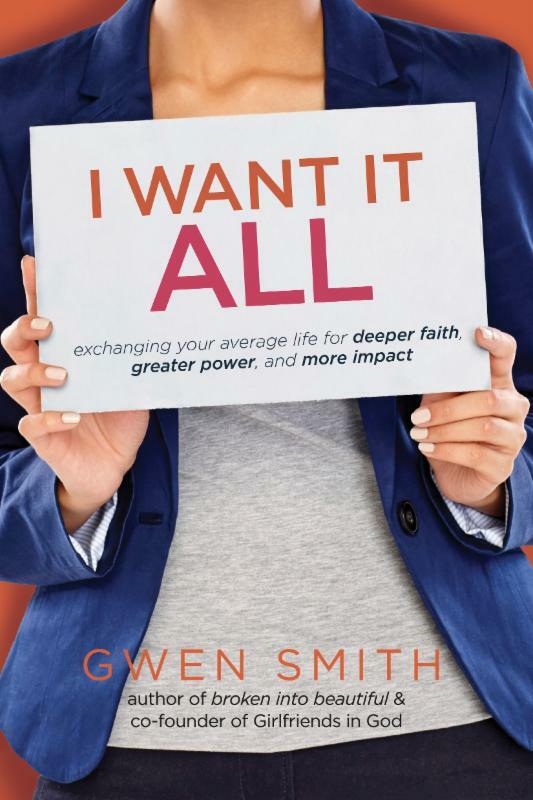 Gwen shares her heart in this book and encouraged me and she will encourage each and every person who picks up this book on their journey toward having it all! "Having a Martha Home the Mary Way: 31 days to a clean house and a satisfied soul," by Sarah Mae, is a wonderful book that I highly recommend for all moms out there. First of all, the title really intrigued me as I grew up hearing the Mary and Martha story in Sunday School . However, as an adult, and a wife and mother whom works full-time outside of the home plus maintaining the home it is difficult and can seem overwhelming and impossible to ever feel like I'm caught up; therefore being in a constant Martha mindset. I sped through this book reading through the text and looking over the questions and activities. As this book is designed for 31 days, I am going to work through it as it is intended to be done through the month of March. Each day there is a reading designated for it following by the Mary challenge and the Martha challenge. Each Mary challenge is designed to help fill our hearts and minds with God's presence and build a stronger relationship with Him in our everyday lives. The Martha challenges are designed to help maintain a clean and organized home. I love the layout of this book and how it is so simple and straightforward as also has space to write and answer the questions. The most important thing that I am taking away from this book and hope to implement everyday is really taking time for the Mary moments each day, meaning taking the time to refresh and focus on what really is important instead of focusing on my to-do list. I highly recommend this book and am looking forward to really diving into this book in March. Add two new books to your TBR list-signed!-by Kathryn Springer! Her new book just released. Don't miss it! Kathryn Springer has become one of my must-read authors and her Banister Falls books have become one of my all-time favorite series! 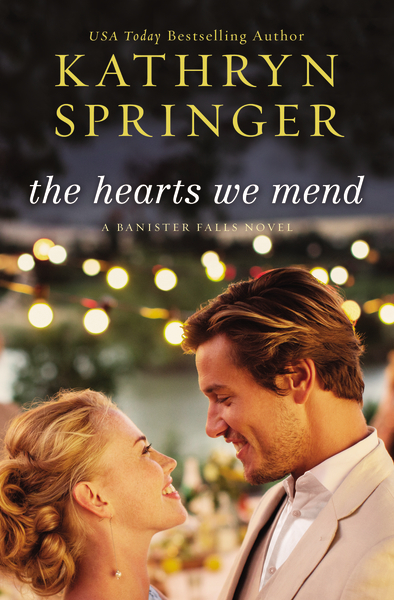 I have loved both of the books and "The Hearts We Mend" just continued on with the story from "The Dandelion Field" so well. Evie was a character who I have to admit was not my favorite at first in "The Dandelion Field." However, she had grown on me by the end of the book and now after spending time with her and really getting to know her in "The Hearts We Mend," I love her! Evie has been caring for Cody on her own ever since Max passed away and she has also guarded her heart and her memories of Max as well. Jack is the first person whom Evie has let her guard down with, but he is also someone who did not know Evie growing up and he truly sees her, her for herself, not Evie in connection with Max. I just love their interactions and could completely picture Evie with her post-it notes planning out events and leaving them lined up in Jack's closet for him and Evie taken by surprise the first time being at Jack's place and cooking. Jack has such a servant's heart and love for people that I loved his character and the bond and interactions he had with others. Kathryn does a wonderful job with creating and developing character and bringing them to life. I felt as if I were a part of the story and the characters were so real to me as they had so much depth. Evie and Gin were both hurting and trying to survive in life, each in her own way, but really they were both so alike and just the friend that each other needed, not to mention the men whom become a part of their lives as well, There are so many pieces to this series and various storylines with the various characters that I became so wrapped up in their lives and in this town and I cannot wait to see what Kathryn writes next. I have to say my guess is that Nikki may be the focus of book #3, but honestly I do not care who the focus is as I cannot wait to read more and be back in Banister Falls. This was such a beautiful book, but so difficult to read at times as it made me cry. 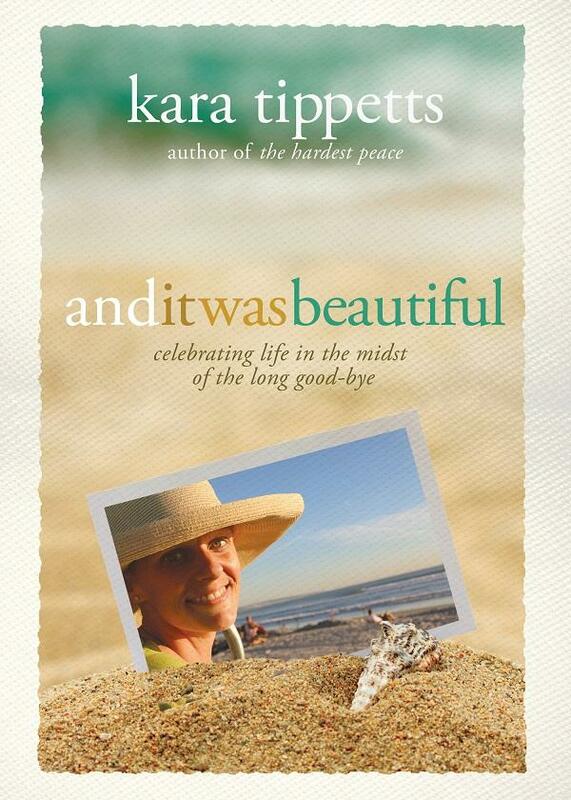 I knew it would be hard to read, but Kara's words are so inspiring and so uplifting as none of us know how long we have to live life here on earth and so often life does not turn out how we were planning in our own personal life or in a loved one's or an acquaintance. Kara lived her life knowing she did not have much time left here on earth with her husband and her children and this was not what she wanted or had planned, but yet she knew that God was in control and this was His plan and to make the most of every moment. Kara was an intentional woman, she lived for the day and for the moment, not looking ahead to the next, but really focusing on the relationships in her life and the hear and now. I think Kara's story would be inspiring and a worthwhile read for everyone as it is an encouragement to live in the moment and trust God in everything and know that He is in control and present. Beth Moore was a name that I heard all the time on my college campus, namely my college dorm as girls would declare her Bible studies to be the studies to do. I dove right in with a group of girls with a study and loved it, loving Beth's heart and the ability to share her heart and teach through her books. I was thrilled to hear that she had a new book out and I was not disappointed! "Audacious" is Beth's latest book and this is Beth sharing her love, her faith and her relationship with God with the goal of getting other women to have that faith and relationship and God as well. By changing our mindsets and our hearts from "I need" to "I want" will make a huge difference and get on the track to living life, living a life that is what was intended for us and what will be a life of purpose and filled with faith and a relationship with God. 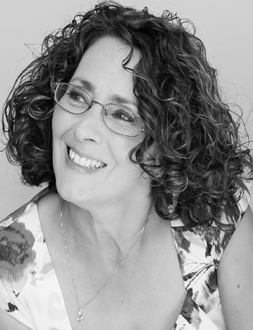 Beth's style is so easy to read and get right into as it flows so nicely and feels as if she is a personal friend sharing her thoughts and life stories. I also just love the look and feel of this book, a nice hardcover edition, that's not bulky or heavy and with green print, love it! "Cravings" is not your typical cookbook, this is filled with pictures and recipes that Chrissy has grown up cooking and sharing pictures and laughs about via social media. "Cravings: recipes for all the food you want to eat" is just that; food that will taste flavorful and be a change from perhaps more bland, more "healthy" food. There is a good variety of recipes as well and some names of the dishes with make you laugh out loud. The breakfast all day section has a huge variety of foods typically labeled as breakfast food including breakfast sandwiches named after her husband John Legend. There's a section for salads, party time, noddle and carbs and recipes that are favorites of her mom's and memories of her growing up cooking in the kitchen with her. The recipes all have Chrissy's personal touch to them as well as they have her comments included so it's as if you are in the kitchen cooking with her. This cookbook is a real treat for those whom have a huge collection of cookbooks and those whom love food and enjoy cooking.